Product prices and availability are accurate as of 2019-04-16 16:41:13 UTC and are subject to change. Any price and availability information displayed on http://www.amazon.com/ at the time of purchase will apply to the purchase of this product. 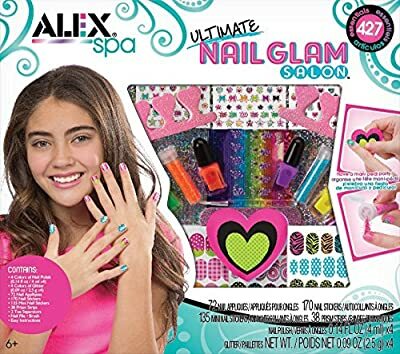 ALEX Spa Ultimate Nail GlamSalon lets girls throw a mani-pedi party with all their friends! Creategorgeous nail designs with vibrant polish, glitter, gems, rainbow strips andmini stickers. 427 fabulous nail essentials are included in this kit. Juststick and file the nail appliques. No drying time or smudging! 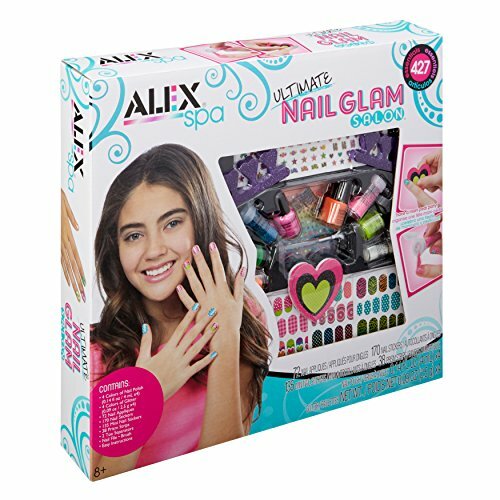 Includes 4colors of nail polish (0.14oz./4ml. 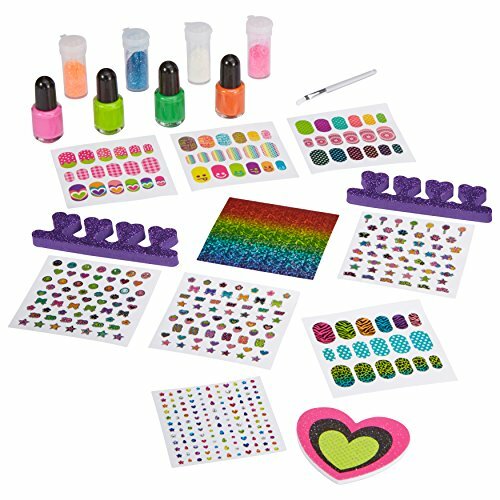 each), 4 colors of glitter (0.9oz./5g.each), 72 nail appliques, 170 nail stickers, 135 mini nail stickers, 38 rainbowfoil strips, 2 toe separators, nail file, brush and instructions. Recommendedfor children age 8 years of age and older.